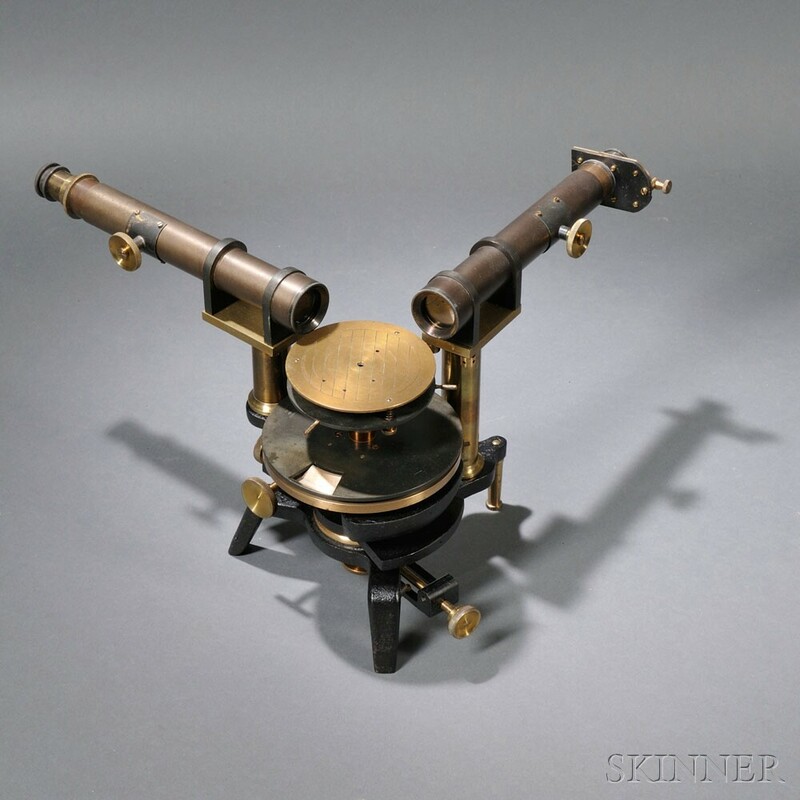 Clocks, Instruments & Militaria - Online | Skinner Auction | Skinner Inc.
Marlborough, Mass. – February 12, 2014 – Skinner, Inc. will hold a Clocks, Instruments & Militaria – Online auction beginning February 25, 2014 at 10:00 a.m. EST and concluding on March 4, 2014 at 10:00 a.m. EST. The auction is the first of its type to be offered in a convenient, online-only format and will feature antique pocket watches, nautical instruments, cast iron banks, firefighting memorabilia, antique medical equipment, antique cameras, and militaria. 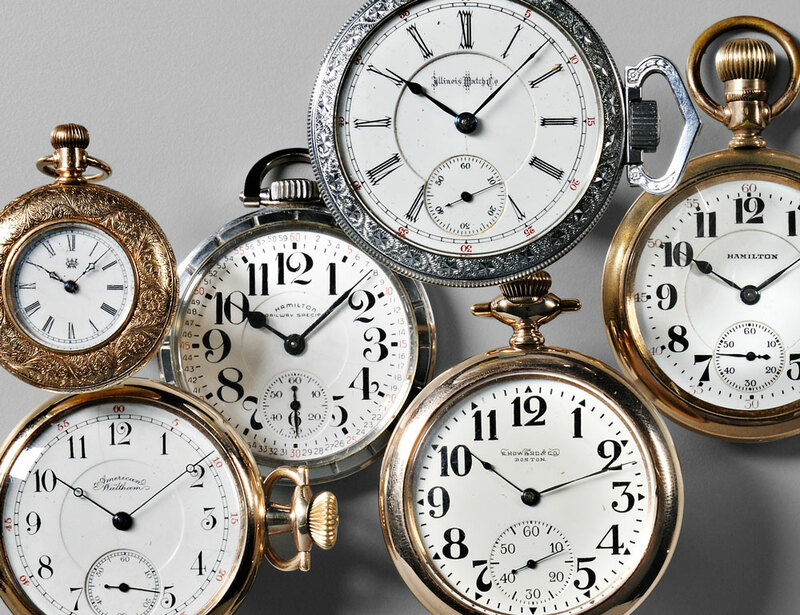 The online auction features a large collection of antique pocket watches, including gold, open face, and case watches, with examples from American makers such as Waltham, Elgin, Hamilton, and Howard. Many of these watches are fine candidates for restoration. Clock collectors will discover an assortment of 19th and 20thcentury shelf and wall clocks, including two rosewood ripple-front beehive clocks by J.C. Brown of Forestville, Connecticut (Lot 177, Estimate $250 to $350). An extensive collection of medical memorabilia includes quackery devices, apothecary and glass medicine bottles, medical advertising and ephemera, pharmaceutical tins, and surgical sets including a set by George C. Frye (Lot 338, Estimate $200 to $300). Ship telegraphs, ship lights and buoys, ship binnacles, and nautical hardware hearken back to the age of exploration. A John Browning brass spectroscope (Lot 318, Estimate $800 to $1,200) represents a group of antique scientific instruments. A collection of late 19th and early 20th Century photography equipment includes a set of five Zeiss Ikon cameras (Lot 386, Estimate $400 to $600). Cast iron banks from the same time period include a myriad of interesting forms, from architectural buildings to figures, pigs, and other animals. Firefighting hose nozzles, helmet plaques and patches, leather fire buckets, and leather fireman’s belts will also be offered. In February of 1898, the USS Maine blew up in Havana Harbor, a tragedy that precipitated the Spanish-American War. Later, the navy came in to raise the broken ship, and three pieces of the salvaged ship will be included in the online auction (Lot 67, Estimate $200 to $300). A tank tread from a Renault FT-17 (Lot 76, Estimate $200 to $400) is another interesting offering, as this tank was the first used by the United States in World War I. The militaria portion of the online auction also features civil war photography, including ambrotypes and tintypes; muskets, knives, and swords from the 19th to the 20th Century; and uniforms and equipment from World Wars I and II. The Clocks, Instruments & Militaria – Online auction combines the convenience of an online platform with the confidence that each lot is backed by expert knowledge. Bidders can participate easily from home, with the understanding that Skinner specialists are available to answer questions, and all lots are on view both in the online catalog and at the Skinner Marlborough Gallery. Previews will be held in Marlborough on Tuesday, February 25, 2014 from 12 p.m. to 5 p.m. and on Wednesday and Thursday, February 26 – 27, 2014 from 10 a.m. to 5 p.m.
Visit www.skinnerinc.com/auctions/2708T for more information and access to online bidding. To participate, simply create an account on the Skinner website, or log in to your existing account, and place bids during the eight days that the auction is open. Learn how to bid in online-only auctions at Skinner. This entry was posted in News and tagged american clocks, antique cameras, antique clocks, cast iron banks, early photography, european clocks, firefighting, horological, Joel Bohy, Jonathan Dowling, medical antiques, medical memorabilia, Militaria, military antiques, navigation, pocket watches, Robert Cheney, scientific instruments, timepiece by Skinner. Bookmark the permalink.